A 35-year-old clearing agent, Isiaka Muritala, was on Monday, December 7, arraigned by the police before a Lagos State Magistrate’s Court, Igbosere, for obtaining N4.1million from a customer under the pretext of clearing two cars for him. 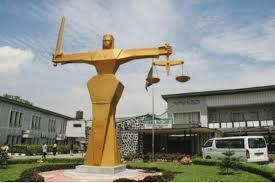 Muritala, who resides at Ketu, is standing trial on a two-count charge of fraud and stealing. The prosecutor, Inspector Kenneth Asibor, told the court that the defendant committed the offences on July 16, during working hours in Lagos. He alleged that the defendant obtained the sum of N1.3 million from one Martins Eruga, under the guise of clearing two vehicles, a Toyota Highlander and a Toyota Rav 4, which he failed to do. The prosecutor also claimed that the accused delivered one of the vehicles to Eruga but stole the Toyota Rav 4, valued at N2.8million. The total amount allegedly stolen was N4.1million and the offences contravened Sections 285 (1) and 312 (a) of the Criminal Law of Lagos State, 2011, Inspector Asibor told the court. The defendant pleaded not guilty on the charges. Section 312 (a) recommends 14 years in prison for the offence. The magistrate, Mrs. A. O. Komolafe, granted him N500, 000 bail with two sureties in like sum and adjourned to January 11, 2016 for further hearing.